Yakuza Graveyard follows an abusive cop who beats up thugs for a living and pledges allegiance to a yakuza underboss. 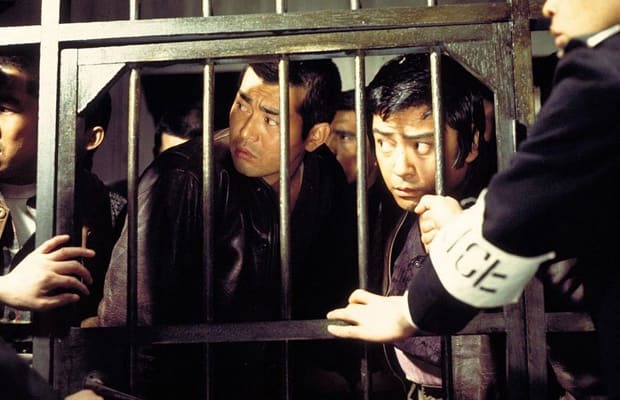 The corrupt officer's methods bother one of his colleagues (played by Tetsuya Watari), but who is he to point fingers when he’s tied to the mob himself? Good luck finding an innocent hero in director Kinji Fukasaku's unapologetic bruiser of a film.